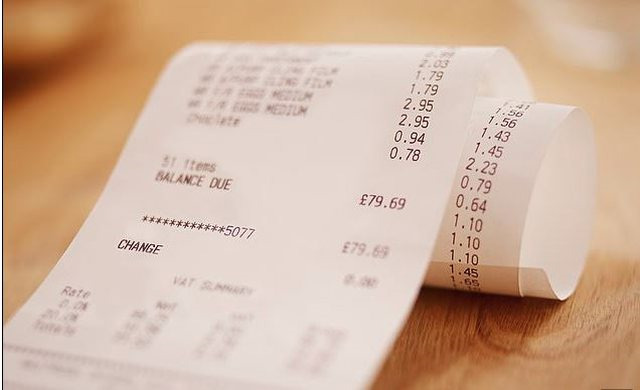 According to a recent study, it turned out that 90% of bills issued at stores, restaurants, or restaurants contain chemicals that cause cancer. These bills contain a paint that fades over time. This is because they are made with thermal paper that has a chemical called BPA . Experts say that these studies have shown that these chemicals can be a cause for cancer, and have previously been associated with infertility, autism, obesity, type 2 diabetes, premature births and early onset of puberty.